Magnetic Shape Memory (MSM) alloys are ferromagnetic materials that produce motion and force under moderate magnetic fields. They are typically single crystalline alloys of Nickel, Manganese and Gallium, and are able to produce 6% strain under up to 2 N/mm² external load. Frequencies up to the low kilohertz range can be achieved. ETO MAGNETIC has developed this material as well as actuator prototypes in recent years to a new level of maturity. ETO&apos;s new MAGNETOSHAPE® technology is now ready to conquer applications. 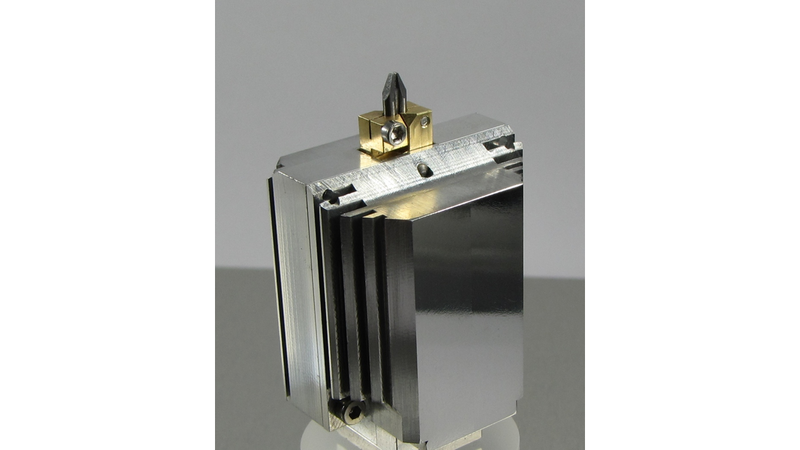 The electrical MAGNETOSHAPE® miniature gripper is ideal for fast and precise handling of small components in micro assembly applications such as in electronics, optics, or watch making industry allowing opening and closing times clearly below 10 ms. The open and closed states are stable without current consumption thanks to the innovative MAGNETOSHAPE® drive. A product development is planned. We are glad to discuss your specific applications and to adapt the gripper to your requirements.